"This image was an absolute blessing for me to create. The main concept of the story to this painting is that I wanted to celebrate the healing and empowerment for those who have been privileged to reflect upon their own pasts with regard to the pains and struggles that we encounter in our lives. I wanted to express a healthy and strong playfulness with regard to these issues after a person comes full circle in healing these particular wounds of the past. The painting depict's a childlike figure being surrounded by birds. These birds represent our connection to our environment and in the painting, the birds have picked some berries from the plant being shown to reflect a nourishing and giving nature. The eagle spirit in the head of the main figure is reflective of the search and vision for inner freedom. This piece is a "medicine painting" for those of us (….) who are in need of the spiritual healing which is required with regard to our past experiences. 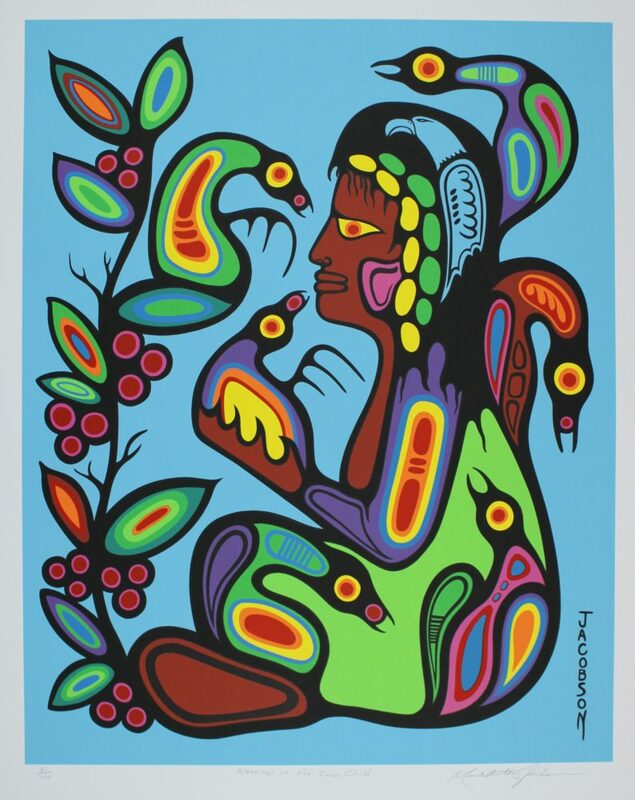 It was and is an honour to share this "medicine" with all our relations." 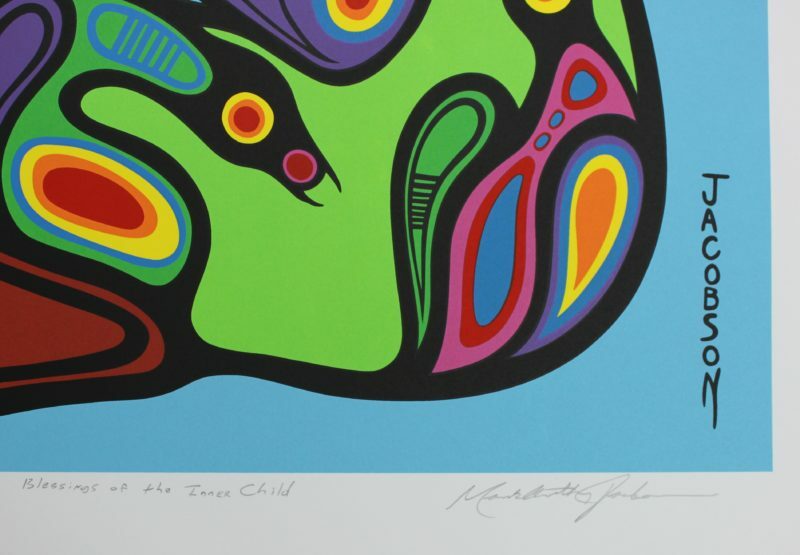 This limited edition silkscreen print titled "Blessings of the Inner Child" by Mark Anthony Jacobson was hand produced by the screen printing process. It is the only limited edition printing of this design. The artist has inspected and signed each copy in the edition. All trial copies of this edition have been destroyed and the printing stencils obliterated.